The executive crystal awards on this page are especially designed to recognize the top executives who made your company successful. 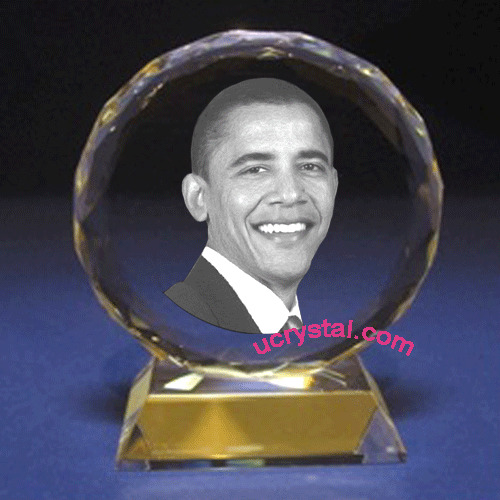 Our executive crystal award collection has different shapes and styles. Personalized message, company logo and the photo of the executive can all be designed in to make the award personal and exclusive. 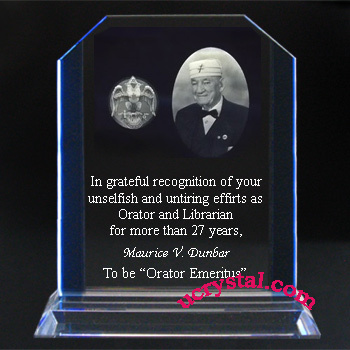 No matter what your need is, ucrystal.com has the perfect award for the deserving executive. Please take a look at our executive crystal award collection, and let us know which one is right for you. We can help you with the drafting and design of the crystal award. 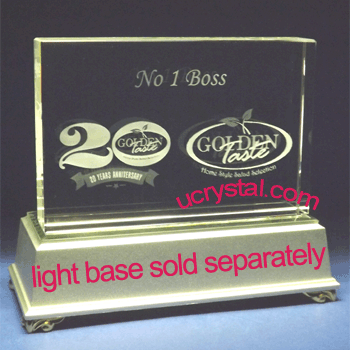 Laser crystal etching is an excellent way for fabricating engraved crystal plaques and awards for annual executive and employee recognition, employee retirement, and guest lectures. Through our diligence and quality workmanship, we have proudly served many top-tier US companies and organizations, and hope to add your organization to the long list of satisfied corporate customers.